In the 137 years since it was founded, Banks Lyon has become a guarantee of impeccable craft and extraordinary quality. In nowhere is this more apparent than its collection of 3 stone diamond rings; it manages to take the archetype to another level, reimagining it for a new generation of jewellery lovers. The white gold and yellow gold bands alone are fine examples of craftsmanship, but attention- as always- is focused upon the diamonds themselves. Banks Lyon makes it a point of honour to showcase only the very best jewels; for cut and clarity, they can’t be equalled. 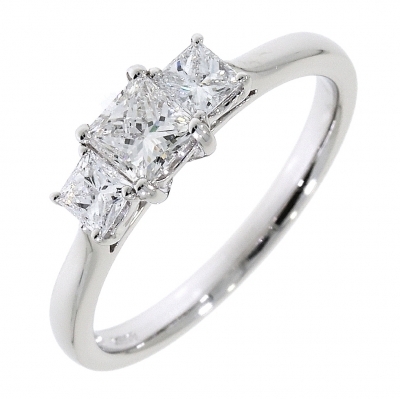 From classic to contemporary, brilliant cut to princess cut, they will grace any proposal or wedding aisle. Celebrate a unique love with a unique ring; marvel at the spectacular yellow diamond, a heart stopping emblem of love. To make the greatest day of your life truly count, choose a Banks Lyon ring. For more information on our range of 3 stone diamond rings, please do not hesitate to contact us on 01524 384858, or via email at personalshopper@bankslyon.co.uk, and a member of our friendly team will be able to assist you.